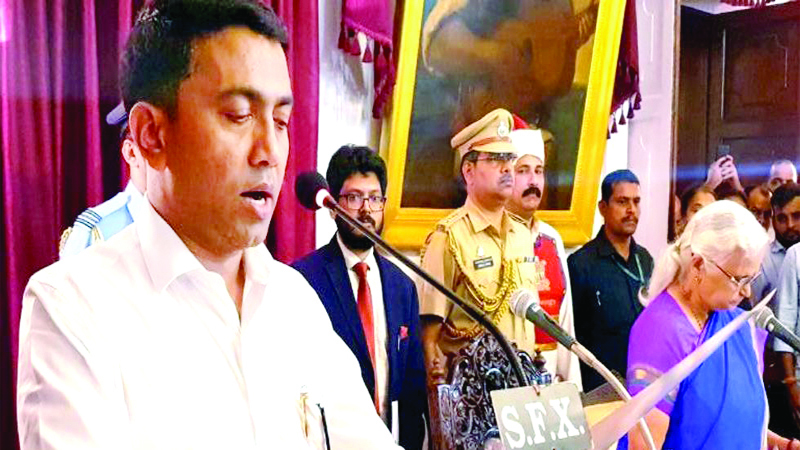 Shri Pramod Sawant, 45, was sworn in as Goa Chief Minister at 2 am on 18 March, 2019 as the nation mourned his predecessor Shri Manohar Parrikar’s demise. Shri Pramod Sawant took oath along with ministers in his 12-member cabinet that included two deputies. BJP National President Shri Amit Shah said in a tweet, “Greetings to the newly sworn-in Chief Minister of Goa, Dr Pramod Sawant and his team. I am sure that this new leadership will continue to serve the people of Goa with the same dedication and commitment. My best wishes”. CM Shri Pramod Sawant led BJP coalition government won the vote of confidence on the floor of the House during a specially convened session of the Goa State legislative Assembly on 18 March, 2019. While the government got 20 votes, the Opposition got 15 in the 36-member truncated House of 40. Deputy Speaker Michael Lobo was in the chair as Speaker Shri Sawant had resigned to take over as the Chief Minister of the State. While the treasury benches comprised of 11 members of the BJP, three of the MGP, three of the Goa Forward and three independents, the Opposition had 14 members of the Congress and one from the Nationalist Congress. Former Minister Pandurang Madkaikar, who had suffered a paralytic stroke, attended a special session and was allowed by the Speaker to raise his hand during voting by sitting in his place. 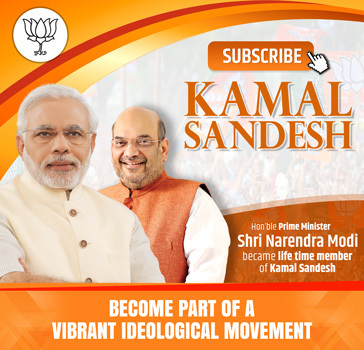 Four seats are vacant at the moment — two following the resignations of two Congress MLAs to join BJP in October last year, and two due to deaths of former Deputy Chief Minister Francis D’Souza last month and Chief Minister Shri Manohar Parrikar. Both of them succumbed to cancer. Shri Sawant broke down while speaking about Shri Parrikar. Earlier, he broke down while speaking on a condolence motion which was passed unanimously in the State legislative Assembly condoling the death of Shri Parrikar. The motion to condole Shri Parrikar’s demise was moved by BJP MLA Rajesh Patnekar along with the deaths of former Deputy Speaker Vishnu Wagh and former Deputy Chief Minister and MLA Francis D’Souza. “I am sitting here only because of Shri Manohar Parrikar. I became an MLA, Speaker and now Chief Minister because of him,” said Shri Sawant in a choked voice. Overcome by emotion, he paused his speech on several occasions.